Most taxpayers believe that a “dependent” is a minor child that lives with them. While that is essentially correct, dependents can include parents, other relatives and non-relatives, and even children who don’t live with you. There is really much more to the dependent deduction than you might at first imagine. * Dependents defined. It’s impossible to present all of the rules relative to dependents here, since they are so complicated. Generally speaking, if somebody lives with you and you provide more than half of that individual’s support for the entire year, there is a good chance that person is a dependent. There are many exceptions. For example, parents don’t have to live with you if they otherwise qualify, but some other relatives do. A child of divorced parents doesn’t necessarily have to live with the noncustodial spouse for the dependent deduction to apply. * People who can’t be claimed. Generally, you may not claim a married person as a dependent if that person files a joint return with a spouse. Also, a dependent must be a U.S. citizen, resident alien, national, or a resident of Canada or Mexico for part of the year. 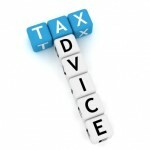 On 02/22/2013 / Tax Planning & Preparation / Comments Off on Dependents: What are the Tax Rules?